The Coen Brothers' cult classic The Big Lebowski celebrates its 20th anniversary with a return to UK cinemas on September 24th - Find your local 20th anniversary re-release screening here. 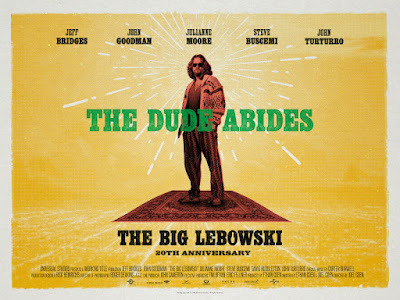 Though it failed to find an audience on its initial release, The Big Lebowski has subsequently developed a cult following, as evidenced by the following five examples of how fans have paid tribute to the movie. After a group of disgruntled Fiorentina fans were thoroughly fed up by the monied world of Serie A, they decided to established their own club while paying homage to the Coen Brothers' iconic character. We would bet a good amount of money there's a lot of Premier League fans who wish they could do that. We couldn't make a wacky super fan list without permanent scarring now, could we? Over the years we have seen countless people tattooing their skin with their mothers' names, dreamcatchers, patterns and most importantly, their favourite characters; The Big Lebowski especially, I mean who wouldn't want The Dude on their arm for the rest of their life? Loved the film more than just watching it can satisfy? Why not attend an entire festival dedicated to it? Back in 2002, a group of dedicated fans set up Lebowski Fest! It was first held in Louisville, Kentucky, and attracted around 150 people. Since then, attendance has grown exponentially, and Lebowski Fest has expanded to several other cities. Lebowski Fest activities typically include a night of unlimited bowling, costume and trivia contests, and a competition to see who has travelled the farthest. At the 2011 Lebowski Fest in New York, the cast all reunited to reminisce about the whimsical months they spent making The Big Lebowski, and of course answer any questions from superfans. 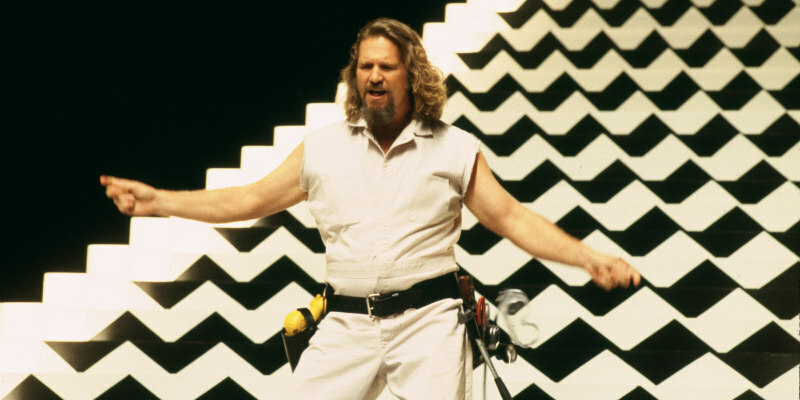 Maybe you're not a superfan and want to learn more about The Big Lebowski? Well, you're in luck! The University of Miami have just the course for you! This English course explores academic responses to the Coen Brothers' 1998 classic. According to the course syllabus, "possible discussion and paper topics include but are not limited to: the soiling of rugs, proper methods of making a White Russian, the ethos of National Socialism, the first gulf War, Pomeranians, and bowling." There's no way you won't love the movie afterwards! Yes...believe it or not, there is a religion devoted entirely to spreading the teachings of The Dude. Founded in 2005, called Dudeism, and described by its creators as "The slowest growing religion in the world, Dudeism preaches non-preachiness and practices as little as possible." It's also referred to as The Church of the Latter-Day Dude, and unbelievably the organisation has ordained over 270,000 Dudeist priests around the world. They even celebrate holidays by taking naps and encourage going with the flow. Remind you of anyone?